Home » Expert Advice » How do I choose a school in France? How do I choose a school in France? When choosing what sort of education to go for, parents have the option to choose between state-run schools and private schools. Controlled by the Ministry of Education, school is free and mandatory from the age of six until 16, even though some parents start their children in nursery school as early as age two. The grade in which your child enters into is determined by the year in which they were born. Proof of immunisation: an ofﬁcial booklet with health records from all visits to a french doctor (immunisation against tuberculosis (BCG), diphtheria, tetanus, pertussis (DTP) and polio). In general, French schools require 26 hours of classes per week, and there are roughly 162 school days per year. A typical school day has three hours in the morning, followed by a two-hour lunch break, then another three hours in the afternoon. Usually, the school requires attendance Monday to Friday without class on Wednesdays. Some schools have half-days on Saturdays while others just make up for this time by extending the school year. Public school holidays consist of four two-week breaks in October/November, December, February/March and April/May. In France, there are five main school levels: École Maternelle, École Primaire, Collège, Lycée and Université, if desired. École Maternelle, also known as Pre School, usually commences at the age of three and continues until age six. Although it’s not uncommon for families to start their children at the age of two, as long as they are potty-trained. École Primarie, also known as Primary School, ranges from ages six to 11 (five years). These crucial years focus on expanding the knowledge of reading and writing as well as mathematical skills. The first two years of elementary school consist of CP (cours prépatoire) and CE1 (Cycle des Apprentissages Fondamentaux). The final three years of elementary school (CE2, CM1 and CM2) are known as the Cycle des Approfondissement. The following three years consist of the cycle des approfondissements and then the C2 (second year of cours élémentaire), followed by CM1 and CM2 (ﬁrst and second year of cours moyen). Secondary school begins with Collège and ﬁnishes its last two years in Lycée. Collège generally starts at the age of 11 and continues until 15. The ﬁrst year of collège (6eme) is called the cycle d’adaptation; then the second and third year (5eme and 4eme) are called the cycle central; followed by the final year (3eme) known as the cycle d’orientation. At the end of the 3eme, students will sit for a nationally administered exam in order to obtain their diploma, called the Brevet des Collèges, before determining which lycée they will attend. Students usually commence Lycée from age 15 until 18. For the ﬁnal year of Lycée (seconde terminale), students will decide which bac (baccalauréat) they want to pursue. There are three general types of baccalauréat that a student can choose from; Literature and Language (L), Science and Maths (S), and Economics and Social Science (ES). Although students who pass le bac can continue into a state university, there is also another option for students who want to reach a higher level of education. This would require two more years of studying, called prepas, which are preparatory courses that ultimately prepare them to take another exam called concours. 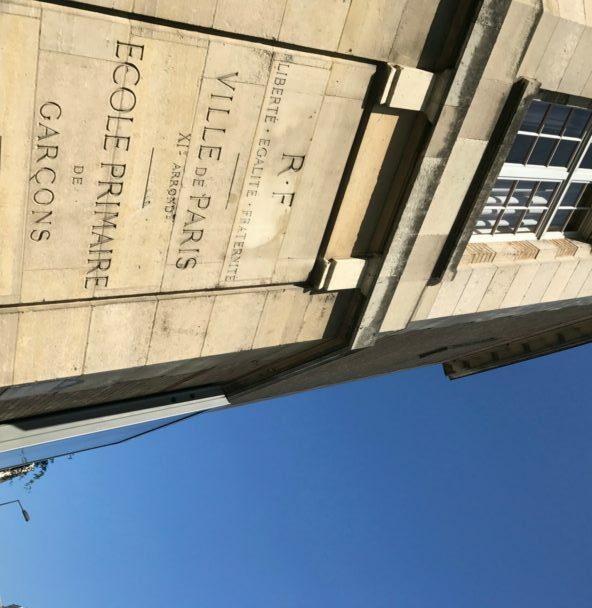 If they pass, they will have their choice of some of the top schools in France, les grande écoles, known for business, politics and engineering. – For more detailed information regarding the french school systems, the AAWE Guide to Education in France is highly recommended as it is written in English and provides detailed explanation of all aspects of the french schooling systems. Also, the Guide Le Fabert provides lists of all private schools in France within any selected region.